DESCRIPTION You are looking at a completely new and revolutionary induction system designed from scratch by SWG to fit all G60 engined Golf's, Rallye's and Corrado's . For many years there has been talk of running the G60 engine with two filters to help get the maximum amount of air into the engine to help both power and torque ! the only option was to relocate any ancilary items in a bid to fit another filter somewhere else in an already cramped engine bay !! 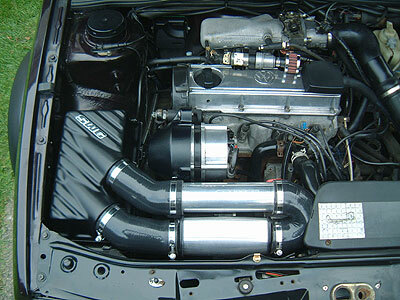 This new unique SWG designed set up allows a second cold air feed to the supercharger from a new larger higher volume air box lid with twin outlets (which fits to the cars original air box base). By allowing cold air to feed both charger intakes it provides the supercharger with the optimum amount of cold air and so increasing power and torque with dyno proven results. 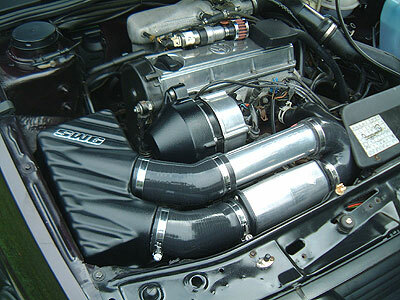 The original induction set up on the car features a boost retun pipe from the throttle body to the second charger inlet, this allows any excess hot boost that the engine dosnt use to be routed back into the charger which is not ideal for both engine power and the durability of the supercharger unit itself! 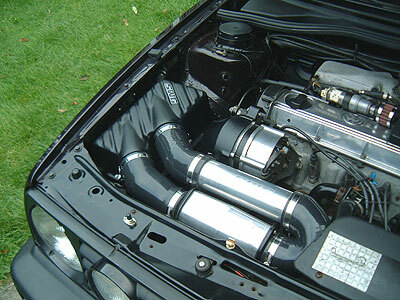 The twin inlet kit replaces the boost retun pipe with a second feed from the new box lid and because of the unique design of this item it still retains a factory look to the engine bay. SWG are the designers and original manufacturers of this unique product, please be aware of infeariour copies.